Roatan operates an MLS (multiple listing service), which is incredibly helpful for all potential buyers. Through our coordinated real estate system, you can search for your ideal property all in one location. Roatan’s use of an MLS is unique in the region, but we all know we work better together to help you find your dream home. Once you find that dream home through the Roatan MLS, the purchasing process is easy. 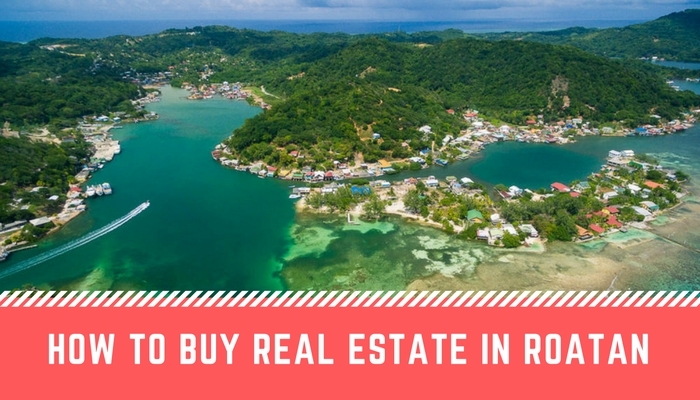 Purchasing property in Roatan as a foreigner is entirely possible and very common. You can purchase up to nearly 0.75 acres in a single purchase as a foreigner. Should you decide to purchase a larger plot or if you’d like to invest in more than one property, you can do so through creating a Honduran corporation. Using a Honduran attorney is required for this process, but it’s straightforward and I am happy to make recommendations based on your individual needs. Financing is different than you may be used to back home, so feel free to ask me any questions before or during the process. Generally speaking, Roatan banks don’t usually make loans to non-residents, and North American banks don’t usually make loans on foreign properties. Many buyers take a second mortgage back home, or buy a property in full in Roatan after the sale of property back home. Peruse the Roatan MLS via the link on my site to get an idea of your price range and wish list. Contact me whenever you’re ready so we can go through your specific circumstances to determine your ideal purchasing process. In terms of residency, Canadians and Americans are allowed to visit Honduras on a tourist visa for up to 90 days at a time. If you want to invest in a vacation property or in a snowbird home, you won’t require Honduran residency. If you want to move to Roatan permanently, I recommend you apply for residency right away. If you want to run a business in Roatan, purchasing an already operating business will allow you to continue operations while processing your final paperwork. Opening a new business requires a longer wait time, which could still be beneficial as you set up and prepare to open your doors to the public. Take special consideration toward your estate planning. Keep in mind that you may be living in a different country from your relatives and heirs, so a clear understanding of next steps is incredibly important. If you have questions about any specifics within the purchasing process – from finances to legalities to my personal insights on life in Roatan – feel free to contact me. • We met Jorge while on vacation in May 2016. We were visiting the island and were beginning our search for property/condo/home. We came across Jorge while we were walking through Infinity Bay. Not even knowing if we were really serious, he took the time to show us a few condos. From the start Jorge, was very informative and patient with us. At that point, we were not ready to make a decision at that time. • My name is Carolyn Belfor and I had the fortunate opportunity to have Jorge Chavez as my Realtor on Roatan. He made the ‘searching’ for the perfect property and the actual transaction a very happy and smooth experience. His extensive knowledge of every property, real estate law and attention to the details of what I wanted, made my real estate transaction perfect. He made sure to find the best fit for my wants and needs – he never wasted my time showing me something that didn’t fit my criteria. He is fluent in both English and Spanish which was invaluable. I now have a fantastic property for the best price because of him. I would recommend Jorge Chavez to anyone looking for real estate on the island.